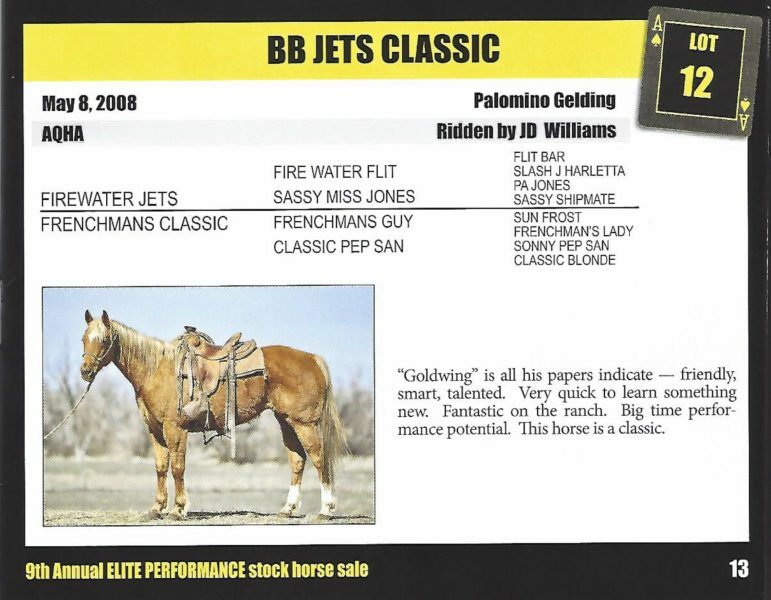 BB Jets Classic is consignment number 12 in the 9th Annual Full House Elite Performance Stock Horse Sale June 16 at the Weston County Fairgrounds in Newcastle, Wyoming. 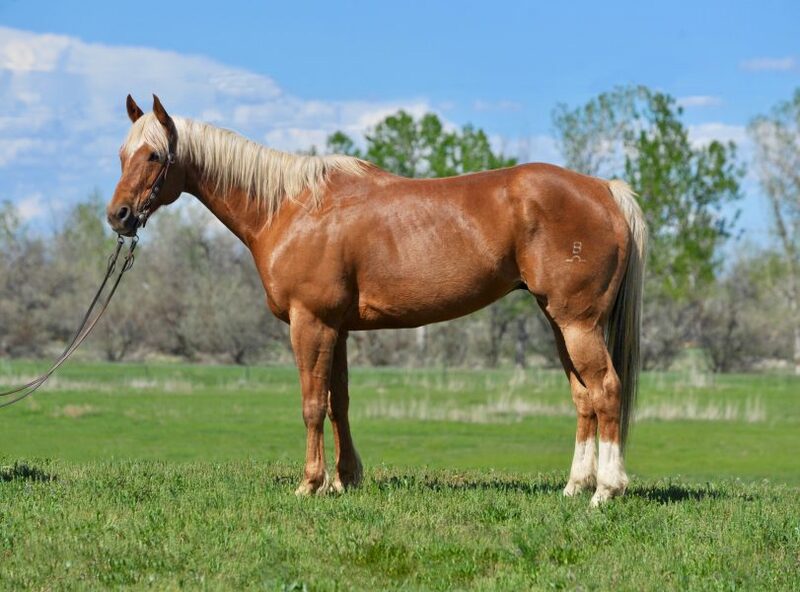 He’s a 10 year old Palomino gelding owned by JD Williams. Goldwing is all his papers indicate—friendly, smart, talented. Very quick to learn something new. Fantastic on the ranch. Big time performance potential. This horse is a classic. Son of Frenchman’s Classic, a daughter of Frenchmans Guy. Sired by Firewater Jets.